Obituary for William Nieffer | Seamon-Wilsey Funeral Home, Inc.
William F. Nieffer, 85, of Esopus Creek Rd. passed away on March 31, 2019 at home surrounded by family. He was born on February 26, 1934 in Saugerties to the late Carolle and Genevieve Nieffer. After graduating Saugerties H.S. and Albany College of Pharmacy he served in the Army during the Korean War. Upon returning home, he began his career as a self -employed pharmacist in Germantown, NY., then becoming certified as a NYS Pharmacist and retiring after 20 years. William was active in the community, he was an Elder in the Katsbaan Reformed Church and helped with many aspects of church life there. He was a Past Master of Ulster Lodge # 193 F&AM and a 50 year member. William was a member of Emmanual-Wiltwyck Chapter #155 Order of the Eastern Star and Past Grand Officer in NYS, the American Legion Post #72, Saugerties Historical Society taking part in the Civil War display at the Kiersted House. 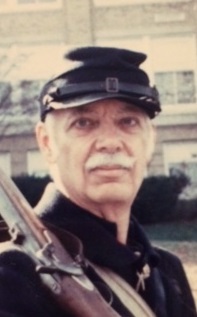 He and his wife dressed in authentic dresses and uniforms with the Civil War 120th Infantry Reenactment Group. He will be missed by all who knew him. He was a true Gentleman. Predeceased in 2018 by his wife of 41 years, Catherine and brother in law Edmund Hoag Jr. Survivors include two daughters, Lori (John) Kay and Marci (Frank) Smedek; two sons, George (Nancy) Drumm Jr. and Robert Drumm; grandchildren, Kristen and Matthew (Lara Bruce) Kay, Emily and Abigail Smedek, Frank and Corrine Drumm, Sarah (David Shultis) Drumm, Niarah, Ciane, and David Shutis Jr. and Edmund and Elise Drumm; great grandson, Austin Shultis; sister in laws Janet (Mickey Myer) Parr and Lori Hoag; cousins, George (Adreiene) Nieffer, Peter (Patty) Nieffer, Carol Ann Nieffer and many nieces and nephews; his first wife and mother of his daughters, Juanita Jones.